RYT-200, Yoga for Health and Wellness, TRX Yoga, Children’s Yoga. With her heart set on broadening the diversity of yoga practitioners by making yoga accessible and by offering tools and education for holistic health and wellness to communities of all people, Lisa studied to become a two hundred-hour certified yoga instructor. She studied under the teachings of world-renowned yoga therapist, Chopra Master educator and Health and Wellness expert, Claire Diab at the American Yoga Academy. Within three years of completing her certification Lisa became an advocate for total wellness and opened OneNest Yoga studio with her two beautiful sisters, Leslie Dunn and Malinda Williams. Whether a gentle Vinyasa flow or step-by-step Hatha, Lisa's classes at OneNest Yoga studio are easy going, accessible and uniquely designed for absolute beginners as well as those who are interested in a slower paced, breath and alignment-based style of yoga. From strengthening areas of weakness to softening areas that are too rigid, bringing balance to the mind, body and spirit are essential to Lisa’s teachings and practice. She also believes wholeheartedly in yoga philosophy and that Yoga is a pathway to inner-peace which is the only way to achieve true happiness. The demands of being a publicist to high profile celebrities and Hollywood film campaigns led Lisa to start practicing yoga and meditation. She began to experience first-hand what scientific studies are now revealing; a regular practice of yoga and mediation helped her mitigate the impact of stress from her daily life. Profoundly impacted by this improvement on her overall well-being, she became passionate about doing her part to make yoga within reach of all people. She believes that holistic self-care should not be considered a luxury, but a necessity. With intentions of serving yoga to a broader community of people with varying needs, Lisa recently completed a specialized intensive course, offered by Bhakti Barn studio in Millburn NJ, focused specifically on Yoga for Health and Wellness. When Lisa is not physically practicing yoga, she spends time studying the teachings of her favorite leaders B.K.S. Iyengar (Founder of Iyengar Yoga) and Leslie Kaminoff (The Breathing Project and Yoga Anatomy). She is grateful for every master teacher, guru, sage, spiritual leader and especially her mentor Debby Kaminsky, founder of Newark Yoga Movement, for deeply influencing her service to the community and lighting her path to better living and living better. 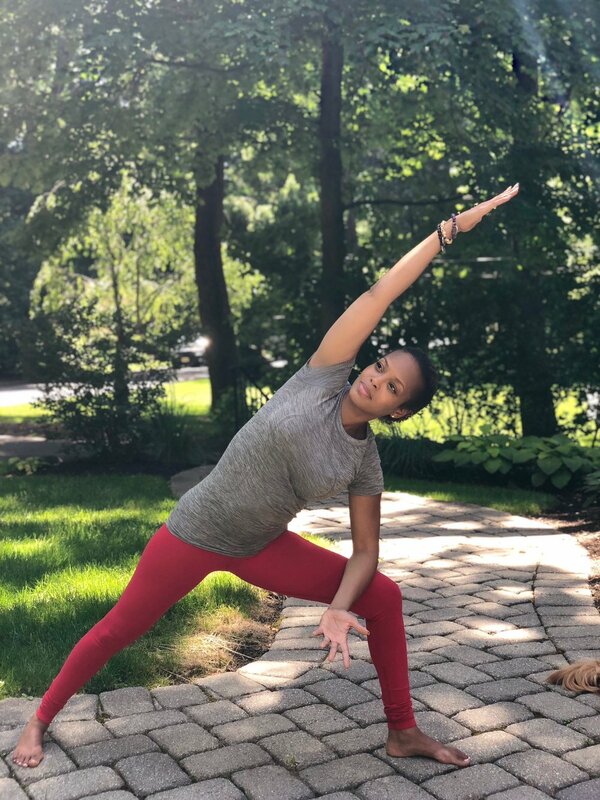 Outside of teaching at OneNest Yoga studio, Lisa also teaches yoga to athletes and serves the community of Newark, NJ as part of the Newark Yoga Movement, where she currently sits on the Board of Directors. Lisa is a Certified Yoga Teacher (RYT-200) and a Health and Wellness Educator with special certificates in Yoga for Health and Wellness, TRX For Yoga, as well as Children’s Yoga. Sign up to receive deals, updates and more! © OneNest Yoga 2018. All rights reserved.